We provide the widest array of charters at a price that suits your vacation budget. Whether you are seeking a luxury deep-sea charter or a more economical angling excursion, we will provide the epitome of service at the best price available. 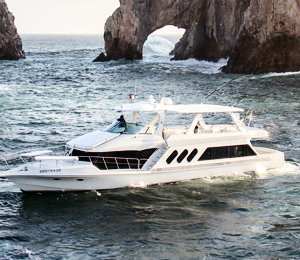 The Love Shack is one of Cabo's leading luxury charters. This 72-foot Bluewater yacht is perfect for large groups and has been used for a wide variety of events, parties, and charters.